Current affairs talk show Get It Straight with Daniel Razon, which features tough questions by the veteran broadcast journalist to movers and shakers of Philippine politics and society, marks its eight anniversary this month of June. When it aired for the first time in June 1, 2010, Get It Straight’s pilot episode had Mr Jose ‘Peping” Cojuangco seated for one-on-one interview with Kuya Daniel. The show follows Good Morning Kuya, the morning magazine show being aired on UNTV News and Rescue. The show became a platform of meaningful conversation, and not a few times when its avid viewers witnessed new causes or advocacy being introduced, such as the mobile school project of the Department of Education that received the support of UNTV’s Kuya Daniel, Bro. Eli Soriano of Members Church of God International, and more. Through the years, Kuya Daniel’s living-room inspired studio set that would soon turn into a coffee shop within a broadcast studio, would accommodate some of the country’s prominent personalities from government and private sectors to join the veteran broadcast journalist in a discussion-filled morning over a cup of coffee. Kuya Daniel’s inimitable way of throwing tough questions are geared towards getting the real score about certain controversial issues and topics, intended to get the answers upfront from his guests. This combination of Kuya Daniel’s tough questions with his sincere regard for both the guest and the viewer’s’ interest in finding out the truth direct from the source are what made the program different from other talk shows in the country. Truth is a highly-prized item that the program wants to promote; hence, its slogan, ‘Bawal ang Pikon’. 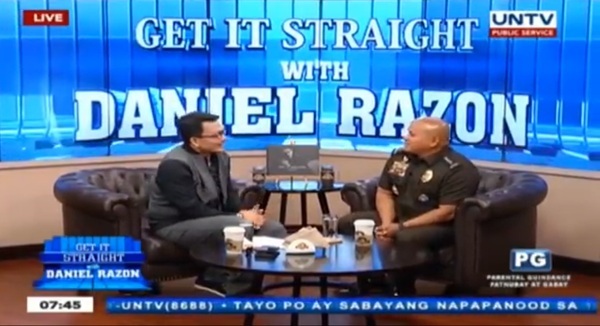 Some of Get It Straight’s episodes with most Youtube views include interviews with notable guests, such as former PNP Chief Ronald “Bato” dela Rosa last July 2016 when he talked about the real numbers of those killed and surrenderees in the Duterte Administration’s ‘War on drugs’ campaign. Chief “Bato” then returned for another interview after he was appointed as Director General of the Bureau of Corrections. Meanwhile, an interview with Sen. Risa Hontiveros held the most viewed Youtube ‘Get It Straight’ episode, when she addressed the question whether there is rebellion and invasion present that would justify President Duterte’s declaration of Martial Law in Mindanao. This interview was conducted at a time Marawi province in Mindanao was under siege from terrorists. 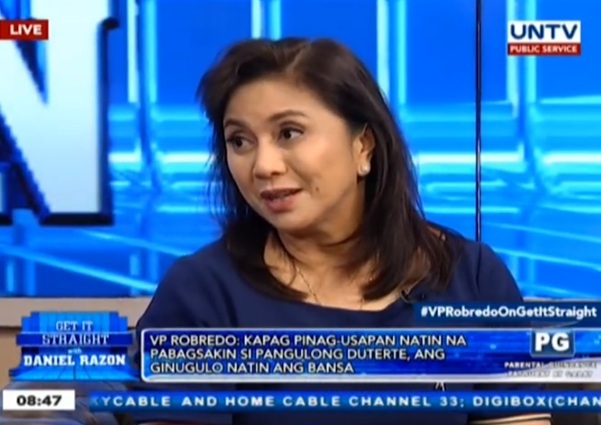 With 331,000 views and thousands of reactions posted on Youtube, Sen. Hontiveros’ response during Kuya Daniel’s interview divided netizens in social media and became one of the most talked about interview episodes of the program. Get It Straight with Daniel Razon not only offers its viewers informative programming, it also serves as an avenue for private-public partnership geared towards the delivery of public service initiatives. In one of the show’s episodes, an interview with then Education Secretary Armin Luistro brought forward the need for more support for the government agency’s mobile school project named Dunong Gulong. UNTV and the Members Church of God International (MCGI) donated multi-million, state-of-the-art mobile buses to help the Department of Education increase the number of locations the mobile school project can reach, particularly in remote provinces.